Two Olympic snowboarders and a celebrity houseguest had viewers talking passionately on social media over the past seven days. The Wrap has partnered with Canvs, the emotion measurement company, for a weekly look at some of the characters and personalities that have TV viewers the most worked up on social media. The data below covers Feb. 7-13 and is drawn from the most emotionally reacted-to television programs, including broadcast, cable, streaming and PPV. When it comes to viewer emotion over the last week, there’s no doubt that the 2018 Winter Olympics (broadcast on NBC and its sister networks) take the gold. 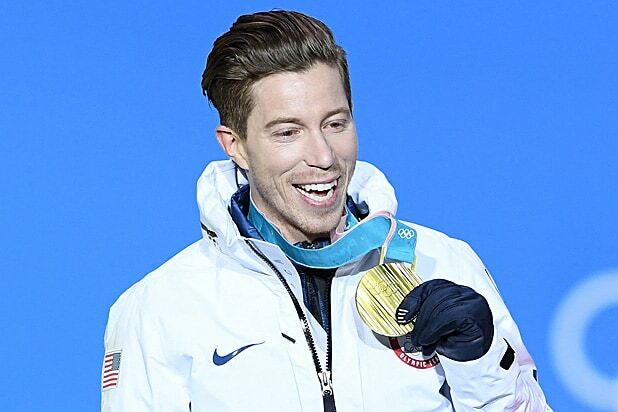 In fact, Olympics programming has inspired 1.8 million Emotional Reactions (ERs) during the period measured, with Shaun White being the most-mentioned Olympian so far. The American snowboarder landed a spectacular run during the men’s halfpipe, securing the third gold medal of his career. Viewers went wild, showering him with congratulations and messages of adoration. It’s worth noting that there have also been headlines about previous sexual harassment allegations made against by White, but the majority of the emotional conversation around him so far has centered on his Olympic performance. Just behind Shaun White in Olympics conversation was Chloe Kim, another American snowboarder who also earned gold in Pyeongchang. The 17-year-old dominated the women’s halfpipe, setting a high score on her first run that the other competitors just couldn’t beat. Viewers tapped out messages of excitement and awe while watching her compete. Chloe Kim is freaking amazing. CHLOE KIM WINS GOLD ???? Chloe Kim, you’re a badass. ???????? Outside of sports, the premiere of the new CBS spinoff series “Celebrity Big Brother” (13,484 ERs) had people talking about housemate and former White House aide Omarosa Manigault-Newman. Conversation around her was mixed, with some people complaining about how she is annoying and should be evicted ASAP, while others mused about what she may know about President Trump and the inner workings of the administration. And, of course, there were some fans who rejoiced when she was declared safe for another week.